Sunday night is our popcorn night, and this popcorn is an absolute hit! The popcorn pops evenly, is not greasy, and has a wonderful, crisp flavor. 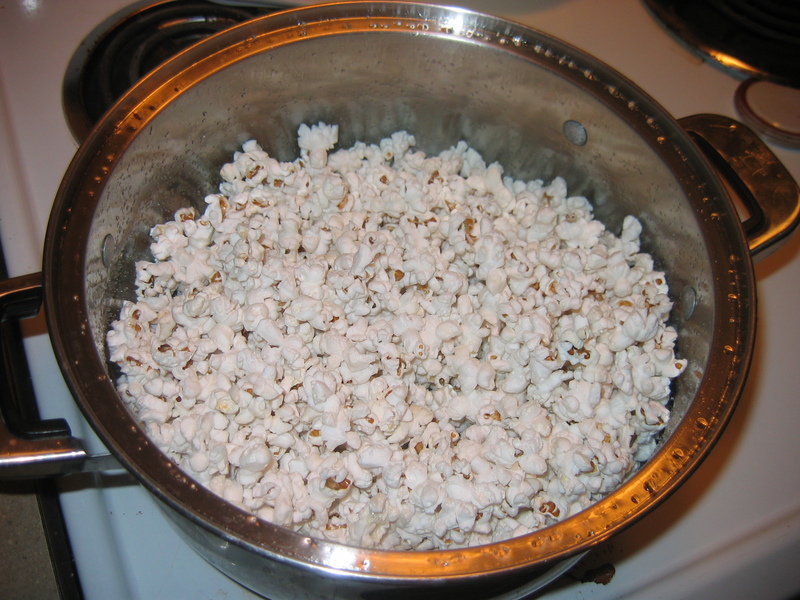 Step 5: Wait for popcorn to finish popping (when pops are 3 seconds apart), remove from heat, add additional salt or butter if desired, and enjoy! 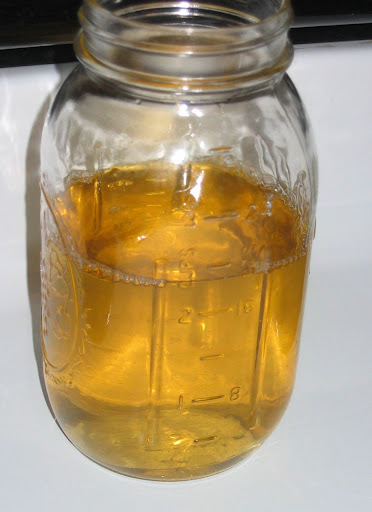 Leaf Lard: The highest grade of lard, from fat around the kidneys. Produces delicate, pure, snow-white lard. Can be used for any cooking but is prized for pastries. Regular Lard: From the fat around the muscles. Renders into a wonderful lard for any type of cooking. Produces cracklings which are bits of fried meat that can be used in recipes or salted to make bacon bits. 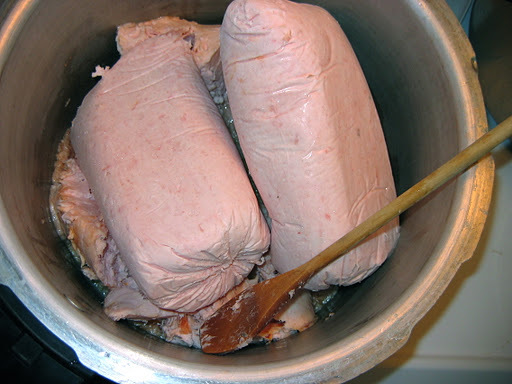 Unlike hydrogenated store bought lard, home rendered lard is a monounsaturated fat, comparable to olive oil. Since our hogs are raised year round outside, enjoying our woods and pastures, they also pack in additional omega 3’s and vitamins D, E, & A. 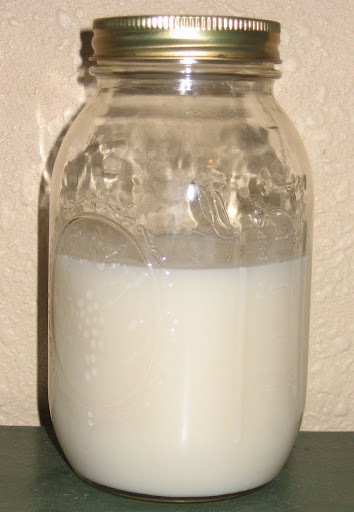 Home rendered lard is soft/semi liquidy at room temperature but can be kept in the fridge or freezer to harden. It has a very high smoke point, cooks at an even heat, and will bring out the wonderful flavor of your foods. 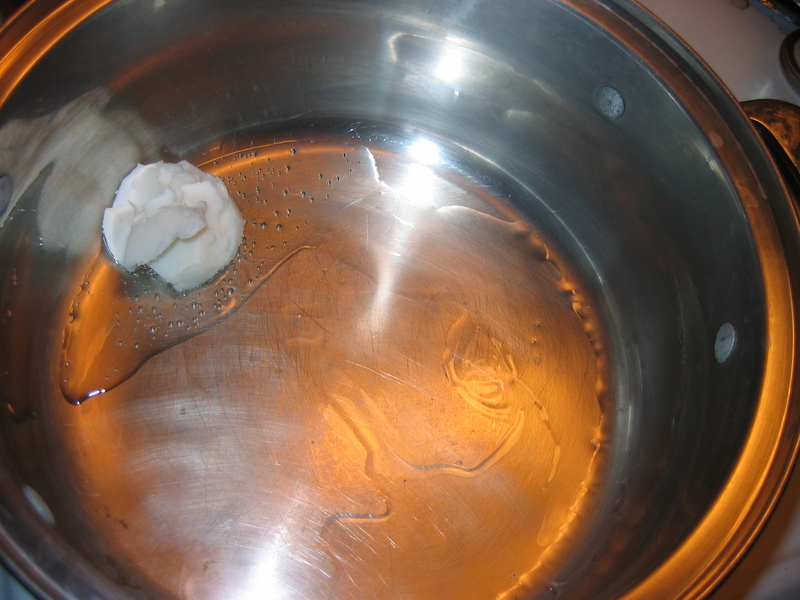 Lard can be substituted for any cooking oil, using 3/4 the amount called for. We love to use it in our breads, pastries, cakes, and for frying and sautéing. You can either to a large batch (click here for my large batch photo tutorial of rendering regular lard) to last through the year or small batches as needed. When doing a small batch, just pull out a small pan or crock pot. You can either render your lard overnight or for around 5-6 hours. I prefer to use a small pan on the stove to have better heat control, but here is the crock pot method for those who don’t want to leave their burners on. To produce a neutral flavored, pure white lard, it is better to start the temp too low and just add more time than to get done quicker but have your temps too hot. I started with a package of frozen leaf lard, 1.56 lbs. I placed my leaf lard into my crock pot frozen yet – thawing will save about 1 hour when doing a small batch. 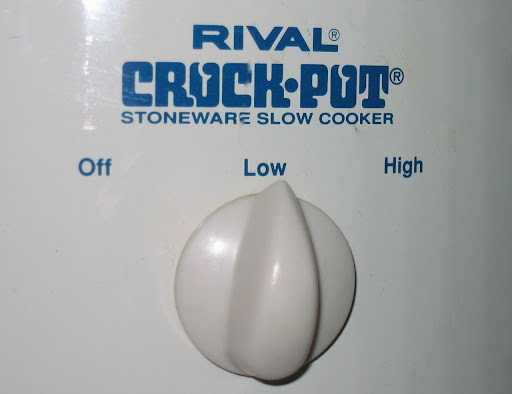 Next, I put the lid on my crock pot and turned it on low. The key to rendering lard is low and slow. 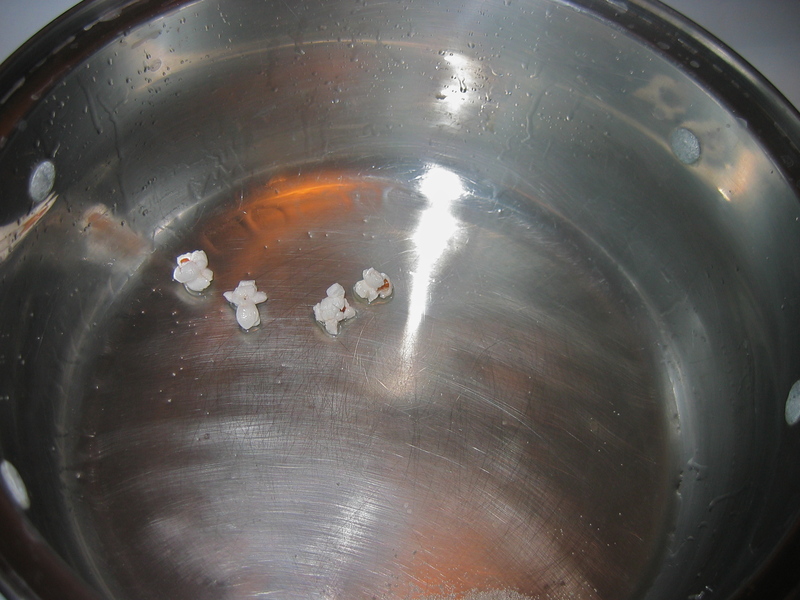 You do not want your lard to bubble when cooking, just slowly melt. This helps keep the flavor neutral and the color pure white. After the lard has melted a bit (this photo was around 3 hours after starting), check your heat. If you are using a crock pot, you might want to take off the lid or prop it open with a fork, especially if your crock pot cooks hot, like mine does. 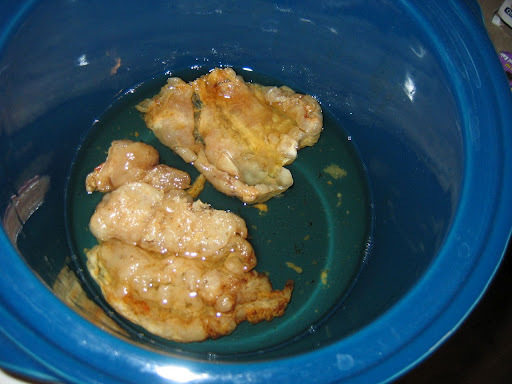 Now is the time to get out your storage container, funnel (and possibly strainer if you are doing regular lard to catch the cracklings – click here to see photos on straining cracklings), and cheese cloth (found in the Walmart craft department). Place a thick layer of cheese cloth on the funnel, over your container. 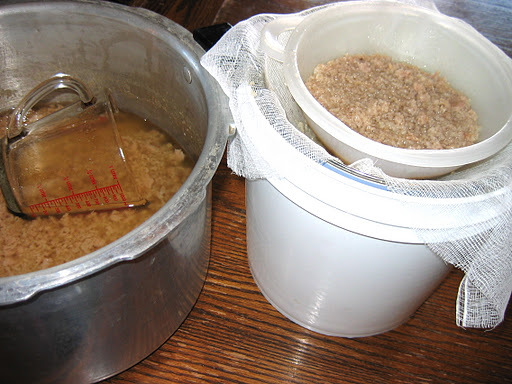 Pour your lard through the cheese cloth, allowing it to strain out any particles. 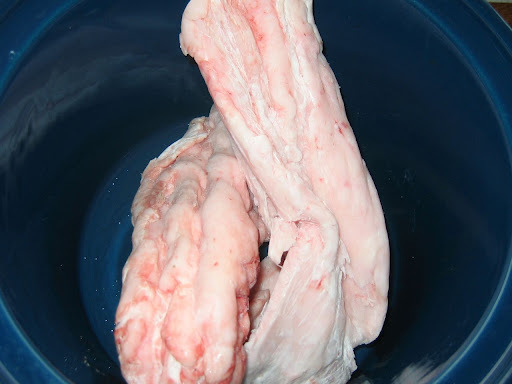 Once completely cooled, your lard will turn into a snow white color. If you plan on using it immediately, store in your refrigerator. Otherwise, you can store it your freezer until needed. You can either to a large batch to last through the year or small batches as needed (click here for my small batch photo tutorial of rendering leaf lard) . When doing a large batch, you can use a large pot or electric roaster. 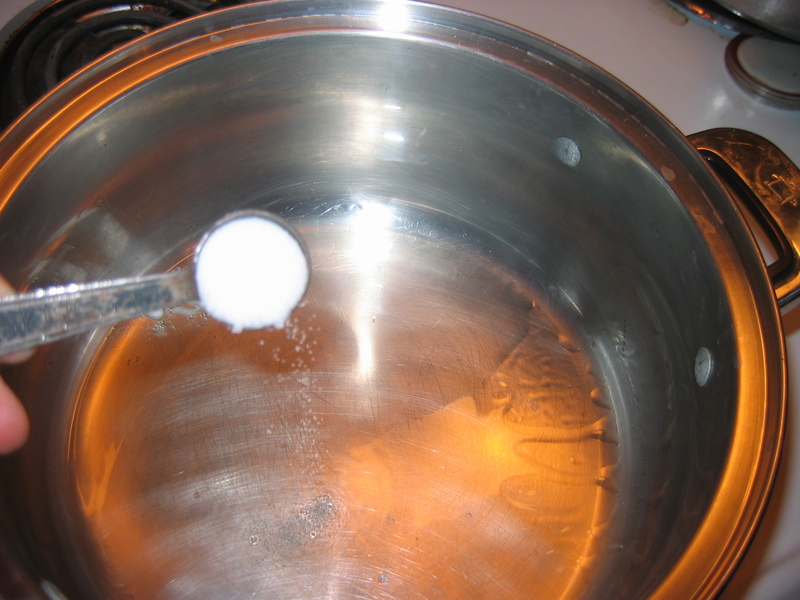 You can either render your lard overnight or for around 7 hours. To produce a neutral flavored, pure white lard, it is better to start the temp too low and just add more time than to get done quicker but have your temps too hot. I started off with 3 frozen 4-5lb packages of ground Crooked Gap Farm lard. Start the heat low (mine was 1-2 on our electric stove) until you get a nice puddle of melted lard. Once you get a nice puddle, you can turn the heat up a bit (I went from 3-5). Stir occasionally, taking care to scrape the bottom. 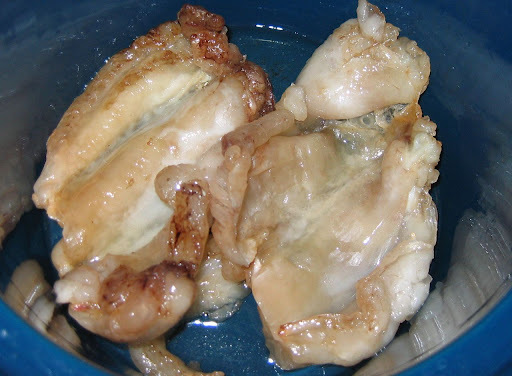 If your lard starts bubbling, you might want to turn it down. This will keep the meat bits from scorching on the bottom. I also like to use a heavy pan, in these pictures – my pressure canner pan, to keep the lard from scorching. 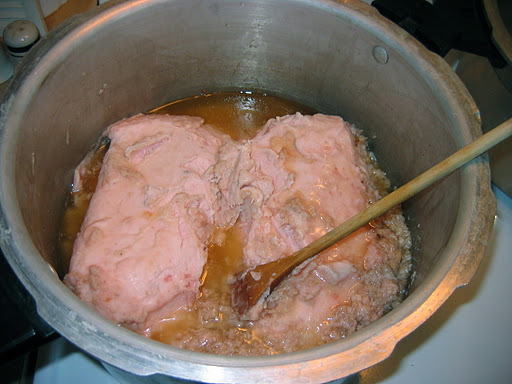 The bits of meat in the lard will start to float. Once they sink again, your lard is ready to strain! 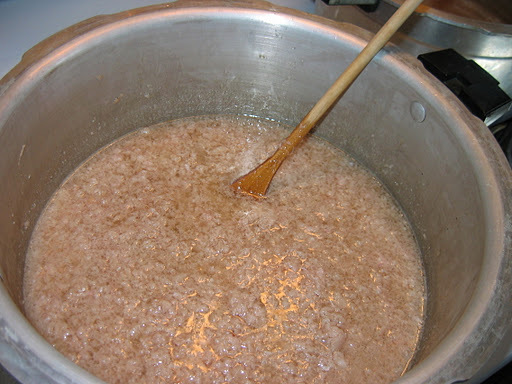 8:55 am :: Starting to melt frozen lard – It will render much quick if thawed first, but I was impatient! 9:50 am :: Lard is melting nicely. I can turn up the heat a little since there is a good amount of melted lard. 3:05 pm :: Came in from chores to find bits of meat had sunk to the bottom. Done! I recently discovered how helpful it is to use two strainers when straining the lard. 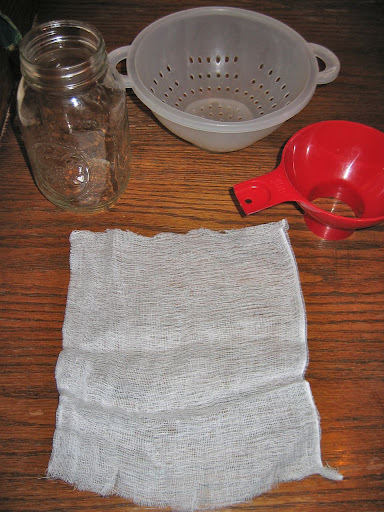 The bottom strainer has a layer of cheesecloth (found in the Walmart Craft department for making ghosts and things). The cheesecloth will strain out the tiniest bits of meat and allow the liquid to drip through. The top strainer catches the larger bits of meat and keeps the cheesecloth less clogged up. The bits of meat caught in the top strainer can be returned to the pan to melt down further and further until you get cracklings, if you like them. (Click here for my crackling photo tutorial. 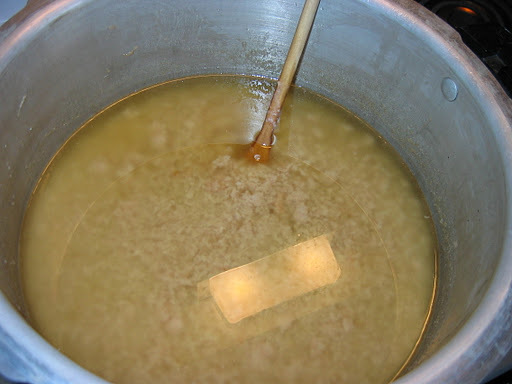 )You can either strain your lard into the container you want to store it in, another pan to keep it warm before filling smaller containers, or straight into smaller containers – which I’m not so talented in doing. 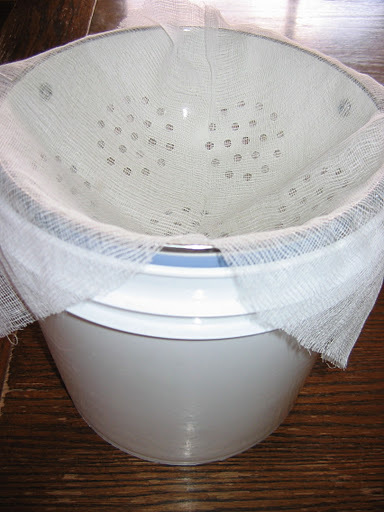 Strainer 1 set up with cheesecloth over container. Strainer 2 set inside strainer 1 to catch meat and help keep cheesecloth clean. 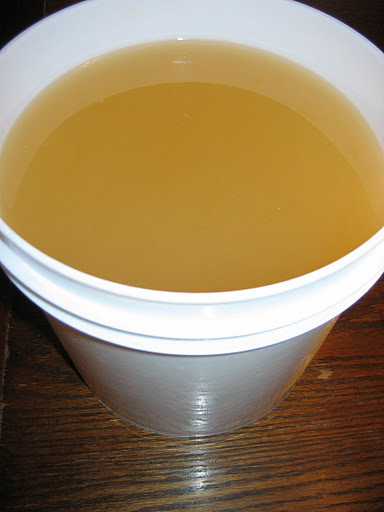 After you have strained your lard and filled your sterilized containers, you need to set it aside and allow it to cool. This can take a day or more to completely finish depending on the temperature and size of container. You can either let your lard cool at room temperature or put it right into the freezer to get a more even consistency. Lard will keep best if the final product is stored in the freezer, but it can also be kept in the fridge, root cellar, or on the counter if kept sealed. After your lard has been strained into a container of your choice. I used this large bucket since I have a project up my sleeves! While your lard is still warm, it will have a deep amber color. Just set it aside now to cool. 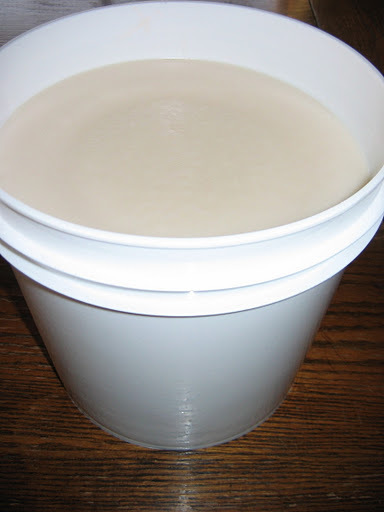 Once your lard has fully cooled, it will be a beautiful white color. 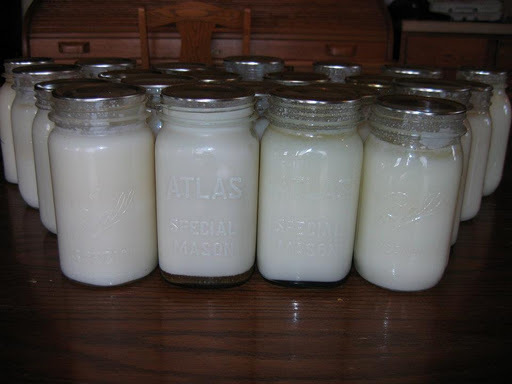 One of my favorite ways to store lard is in quart jars – ready to pull out and use for my cooking. The lids will self seal as the lard cools. You may notice that your lard is quite soft and might almost be runny at room temperature – this is a good thing! It shows the high quality of your lard – unlike the lard that has been hydrogenated at the grocery store. In order to make your lard easier to work with, you may want to put it in the fridge or freezer a bit before using it, especially if cutting it into pastries. 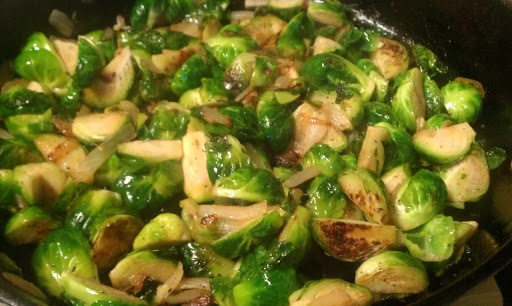 This photo and recipe of brussel sprouts sauteed with CGF lard is courtesy of Miles Jascha, co-author of Savory and Sweet. Wash and quarter the brussel sprouts. Saute onion and bacon in some fat. I used a tsp of lard and a tsp of butter for extra flavor but you can use veggie oil too. Once onions are translucent add the Brussel Sprouts, garlic, cayenne pepper, salt and pepper. Cook until the brussel sprouts are starting to carmelize (about 10-15 minutes.) 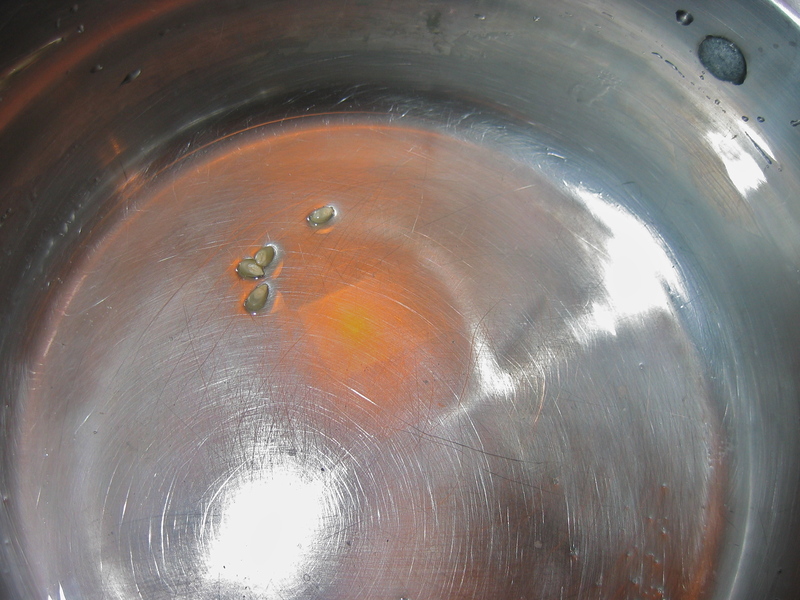 Turn heat down a little and cook until sprouts just start softening and add the cider vineger and sugar. 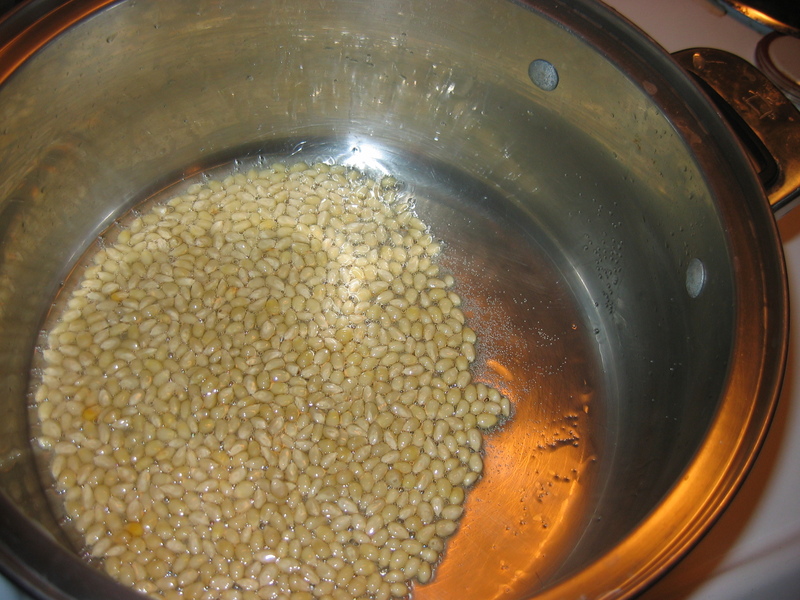 Cook for a couple minutes longer to incorporate the vinegar and they are done. Serve immediately.